Just kidding. I was at the library, so I didn’t do any shouting. But I did grab this book and take it home to read right away. Luckily for me, baking plays a major role in the book — although it’s not immediately clear why. That’s because there are several different characters with stories that at first are separate but then come together at the end. There’s 11-year-old Cady, who has a Talent for knowing the exact right cake to bake for any given person. There’s Marigold, who is desperately looking for her Talent. There’s The Owner, who is also searching for something — and not afraid to hurt others in his quest. And those are just a few of the characters whose fates intertwine over time. Right from the start, it was interesting to read about how Talents work in this world. But with so many characters and storylines, I have to admit it took me a while to get into the story beyond my initial interest in the concept of Talents — and, of course, my initial interest in the baking aspect. But I was rewarded for my patience as the plot started to pick up, and by the end, I was racing through the pages to see what would happen next. I’d recommend this book for fans of The Magician’s Elephant by Kate DiCamillo and Liesl & Po by Lauren Oliver. 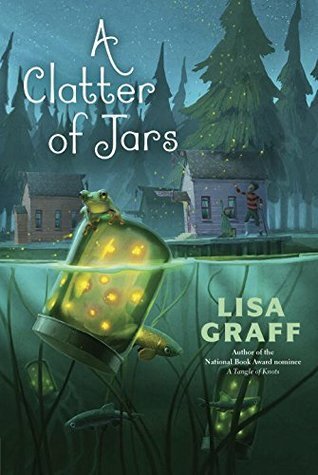 And if you read A Tangle of Knots and enjoy it, then you can also check out the newly released sequel, A Clatter of Jars. It takes place at a summer camp, so it would make a great pick for seasonal reading! 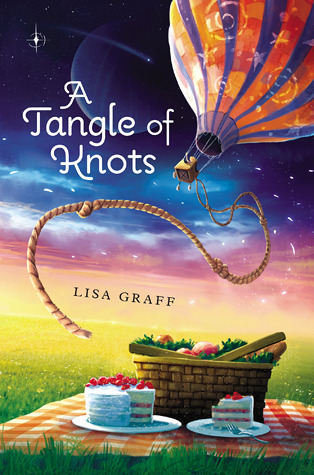 If you’ve already read A Tangle of Knots, leave a comment with your thoughts. Or tell everyone: If you could pick any Talent to have, what would it be? Karen would want a Talent like Miss Mallory’s. In the book, she has a gift for matching orphans to their perfect fit adoptive parents. Karen would also want a Talent to help people.